A beautiful book with some of the nicest baby dragon illustrations to be found in any book and if anyone knows me then I’m sure they’ll know just how much I love a little baby dragon….. it’s just a shame it has to grow up. Little Billy Bixbee wakes up to find he has a little green baby dragon at the foot of his bed, he runs downstairs to tell his Mum who tells him “There’s no such thing as a dragon” which of course Billy and all of us know is wrong. Anyway the little dragon grows and grows and grows and it gets harder to ignore that there might be such things as dragons after all. Put this together with some beautifully quirky artwork and you’ve got something for your dragon loving little one that you’ll all love and treasure. 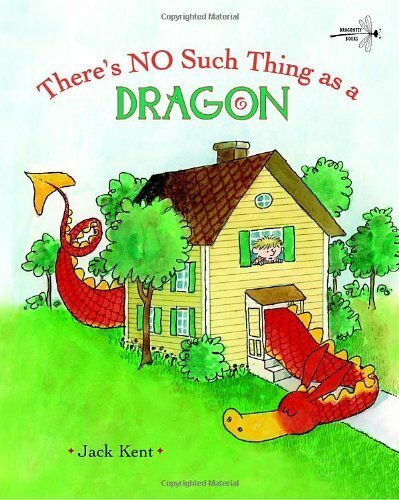 Charming text and playful illustrations by well-known author-illustrator Jack Kent pair in a terrific story that demonstrates how a little attention can make a big difference, no matter what size the problem.